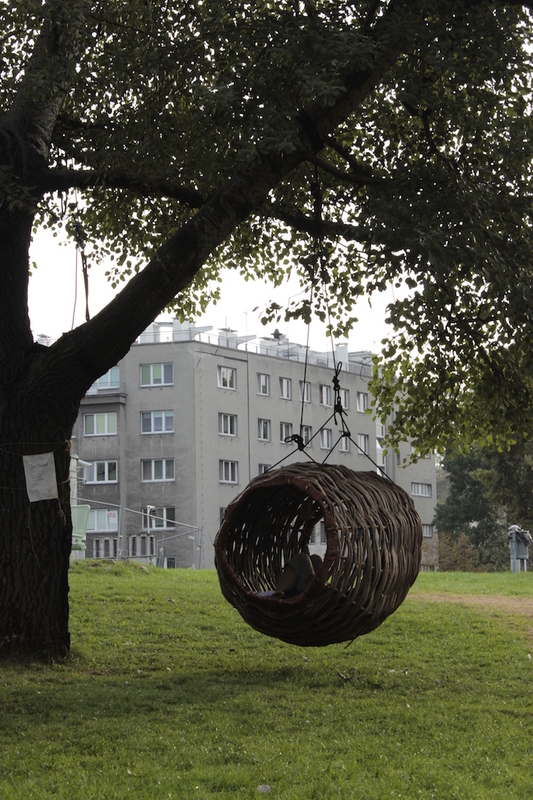 For years I have been working on the project of woven hanging nests for people. 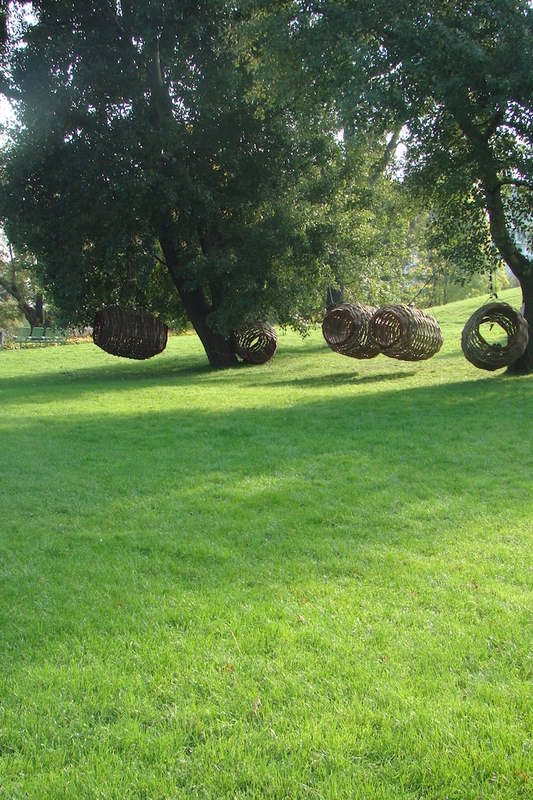 My installation has been arranged with five such objects, suspended in the air, placed amidst trees. You can go inside to read, relax, have fun. 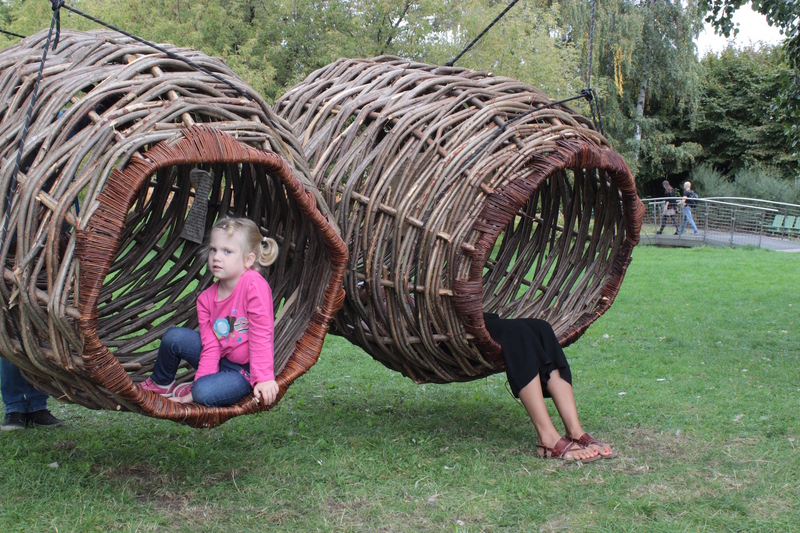 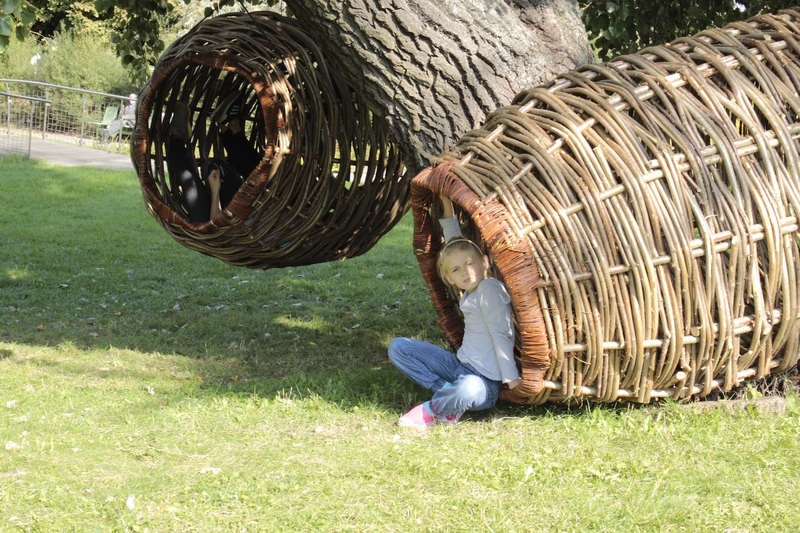 I wanted to create a vessel for calming down and contact with nature, for both children and adults. I call individual objects bathyscaphes. 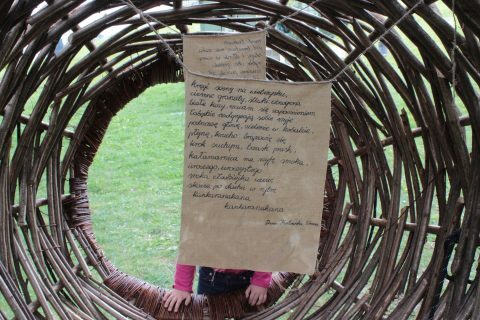 I placed poems composed in different cultures inside them: like periscopes or research tools, they are helpful in submerging beneath the surface of reality. Studied at the Institute of Ethnology and Cultural Anthropology, University of Warsaw (2006–2009), and at the Faculty of Sculpture at the Academy of Fine Arts in Warsaw (2010–2016). 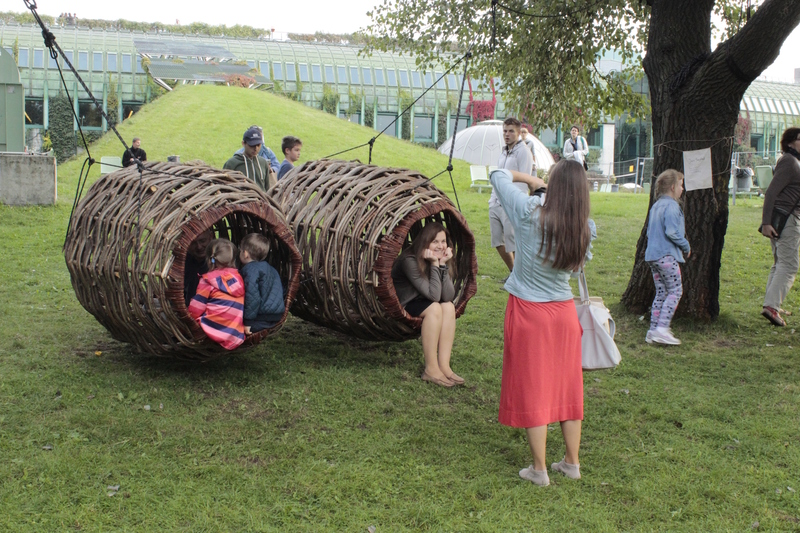 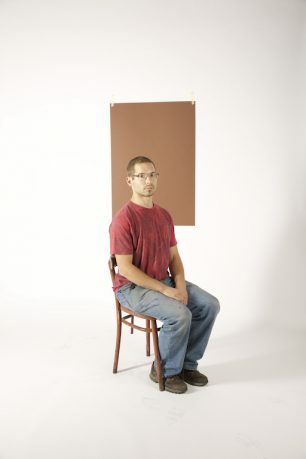 Areas of activity: drawing, sculpture in various materials, organic applied arts, music. Solo exhibition Hanging library at the gardens of the University of Warsaw Library, 2016.